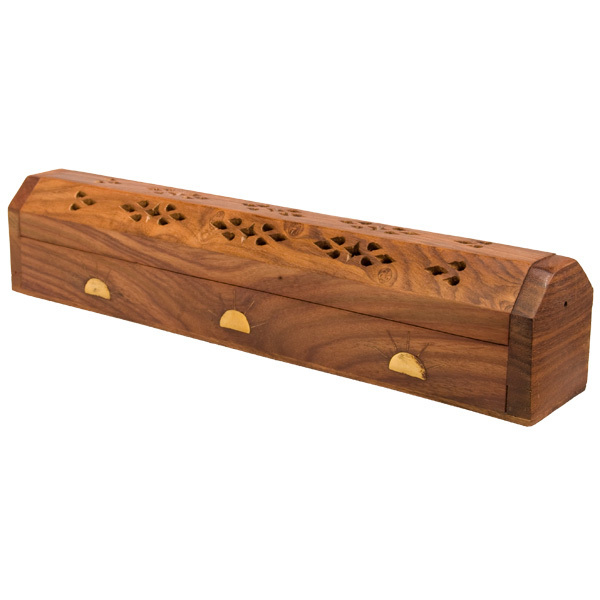 This clever little box comes with a handy storage area below for incense sticks. The burning area will accommodate stick incense and cones can be placed on the small metal tray. 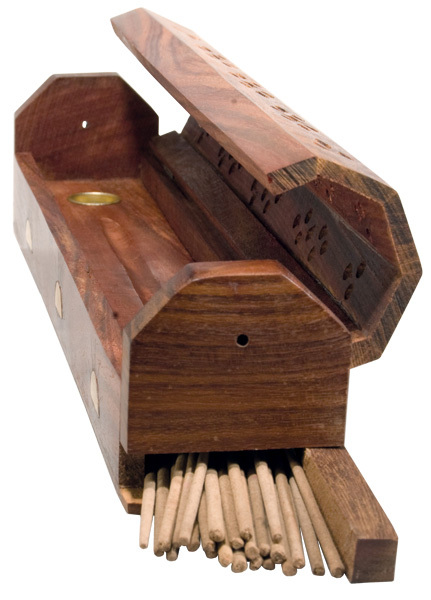 Once the incense is lit, the lid can be closed and the smoke will slowly filter through the fretwork holes at top. 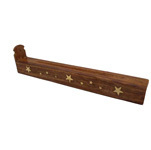 Each box comes with an assortment of brass inlay designs on the sides, designs may include stars, suns or elephants. These beautiful wood handicrafts are handmade in India. 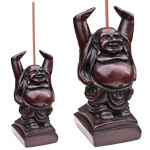 The perfect way to store and enjoy your incense sticks and cones.